Ask fellow campers about "Little Creek Casino and Resort" and nearby attractions. This was our first time staying at the RV park portion of the casino. The good: Easy spots to get in and out of. Shuttle to casino but the walk is super short anyway. I did not use the bathroom or showers but the others with us said they were immaculate. Nice green grass. Full use of pool inside the hotel. The bad: No tables. No open flames allowed. Even propane, we were talked to by security because we had no idea that was a rule. Right by a busy highway, noise can be a problem. No signage to check in at hotel first. We went into the park and had to maneuver out to the hotel to check in. They charge you at the time of booking. They charge you tax when you check in and put a deposit on your card. Nobody told me that would happen so when I had a strange amount of $53.70 on my card I called to find out what it was. Spots aren't big enough for our truck and trailer. Most people had to park their vehicles in the hotel lot. All in all for $40.70 we will stay again. Now that we know all of the different rules and charges we will not be so surprised. We camped at Little Creek Casino and Resort in a Travel Trailer. The seafood bar in the casino is top notch! The service and quality of the food is just amazing. I could eat there every day. Nice little park adjacent to the casino. Very clean casino! They had gambling in smoking and NON-smoking areas!! Appreciate the non-smoking areas inside the casino!! And we ate at one of the restaurants and food was very good! Our site was a pull through and barely long enough for our 40' motorhome. No room for tow vehicle so had to park in casino parking lot. We camped at Little Creek Casino and Resort in a Motorhome. 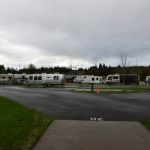 Very nice RV Park by the casino. The sites are level and concrete.....we got one of the shorter pull thru at the end of a row, and our 40 footer and toad barely fit in. The sites are nicely spaced apart, but the turns are tight (but doable). The hookups worked well, and it is not far from shopping and restaurants. Highly recommend. We camped at Little Creek Casino and Resort in a Motorhome. Great park. Easy, clean, with access to the Casino amenities. We stayed almost a week. Satellite hooked up no problem. Solid Verizon signal. Adequate wifi (ask at checkin for the password). Security goes through frequently. 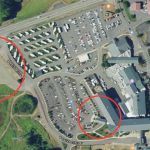 I can see that it might get tight with people parking their vehicles in the road but we had no problems (45' MH) Best way to park and checkin in my opinion is to go past the Casino AND the RV park on WA-108. Turn left on W Salish Cliffs Dr just past the RV Park. After making that turn there is a dry camping lot immediately on your right. We stopped there and walked over to checkin. Made for a good place to unhook the towed. 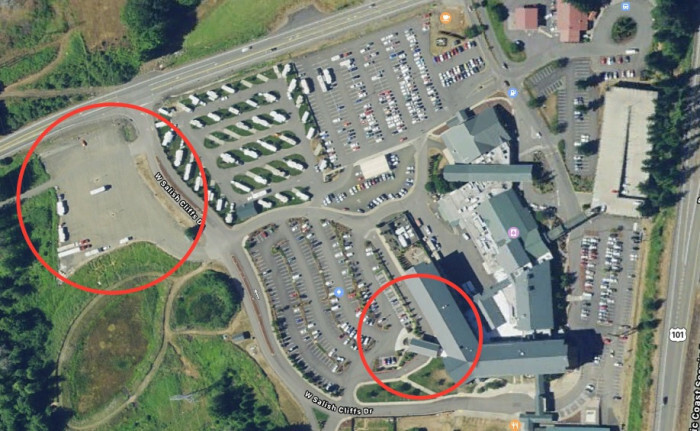 Checkin is through the portico on the SW corner of the Casino almost due South from the RV Park. I'll try to post a picture with unhook/park and check in area circled. Signage for checkin doesn't exist but it it fairly obvious from the RV park entrance. We will be back. We camped at Little Creek Casino and Resort in a Motorhome. Very small park with fairly tight turns but just doable for a big rig. Utilities worked well. Wifi worked well. All roads and sites are paved. Clean restrooms. Clean and nicely priced laundry. Price is Passport America. We camped at Little Creek Casino and Resort in a Fifth Wheel. We stayed here while visiting the Olympic Peninsula and found the park to be one of the nicer parks we've been to. Clean restrooms, clean laundry area (3 washers and 3 dryers)....only 75 cents per wash and per dry. We camped at Little Creek Casino and Resort in a Fifth Wheel. This is our 4th summer in a row staying here. My 7/16 and 7/15 reviews give more detailed descriptions of the park. We again had a level, pull through, FHU site with cable TV. The Wi-Fi worked well enough for our minimal (e-mail and web surfing) needs. The bathrooms were clean and the laundry is inexpensive. The hotel pool is available to RV guests. There is no staff on site and I see no recycling. We camped at Little Creek Casino and Resort in a Motorhome. This is one of our favorite places to stay. Everything is new and clean. WiFi is good. The sites are different sizes. I wish they allow people to actually reserve a "pull through" vs. a "back-in". But all you can do is reserve a site by size and after that it's first come-first served. They have a 48-hour cancellation policy and are very strict about it. If you stay on a weekday, the breakfast buffet is a good deal for $8 plus 20% senior discount. There are no picnic tables or fireplace pits, I guess they want you in the casino! Restrooms and laundry is new and clean. Showers are great. This is one of our favorite places to stay as a good getaway for a few days. There really isn't much to do though in the area, other than the casino and a few parks. We camped at Little Creek Casino and Resort in a Travel Trailer. Don't forget senior discount (20%) on everything except specials. This is a small RV park just off a secondary road and part of a casino complex. It was great for a one night layover and easily accessed. The park was quiet and clean. We stayed there in both January and March, going to California and back home. We will be back. We camped at Little Creek Casino and Resort in a Motorhome. Try to get a site away from the road and do try the buffet. They have become members of Passport America since last year and for $17 you get all hookups including decent wifi. The shower rooms are tiled and clean and warm. 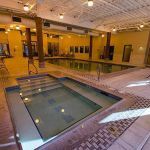 If you stay at the RV park you can also use the indoor pool. We camped at Little Creek Casino and Resort in a Travel Trailer. Unbelievable park for the price. You are in and RV lot at a wonderful casino. We enjoyed day trips to the coast and nights in the pool and hot tub. Gambling if you like. Everything in the rv park is new. Some pull thru sites and some back in. The roads are a little tight for our 43 foot rig, however we managed after asking some people to move their parked cars off the street. We were supposed to leave the cars in the casino parking lots, but most people chose not to do that. We did and the car was fine. Would definitely stay here again. We camped at Little Creek Casino and Resort in a Motorhome. Olympia and all state capital related items, ocean beaches to the west, casino and spa. We stayed here for three nights and enjoyed ourselves. The sites are adequate there is enough grass for the doggies. This was the start of our Olympic Peninsula trip and it got us off to a great start. We camped at Little Creek Casino and Resort in a Motorhome. A basic no-frills park. A concrete pad for the rv and green grass for the rest of the site. There is no patio so any outside activities are on the grass. The grass seemed to be watered every night and looked good. The sites are spacious. The wifi seemed to work well. Verizon worked well. We saw security often. It is hard to find the lobby for the hotel to check in. There are no signs to guide you anywhere. The actual lobby entrance is not marked at all. We camped at Little Creek Casino and Resort in a Motorhome. The Grill in the hotel has excellent food and service. Perfect spot for a one night stay. Clean cheap, used the pool in hotel, a little road noise. Good service hook up including cable! We camped at Little Creek Casino and Resort in a Motorhome. We stayed two nights at Little Creek Casino and would strongly recommend it. We had a nice full hookup pull-through site that had plenty of grass between us and our neighbor. Although our concrete pad wasn't overly long, it was long enough to accommodate our 40' fiver and our car. We parked our tow vehicle in the nearby casino parking lot. We would have liked a picnic table but you can't have everything for this price. We got the Passport America rate of $19 per night (including taxes). 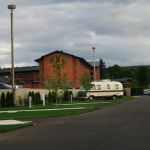 The RV lot is a short walk from the casino but sits far enough away to have some quiet and privacy. The casino security team patrols the RV park regularly. The wifi was very good. The laundry is cheap (75 cents to wash or dry). Both the laundry and bathrooms were very clean. We ate lunch at casino buffet ($10 if over 50) and it was very good. . We camped at Little Creek Casino and Resort in a Fifth Wheel. Diesel was available nearby for a very good price. On arrival off the 101, drive past the first turn and THE SECOND left, just past the RV Park. Proceed towards the hotel lobby and park in front of the fountain to register. Skip the WalMart in Shelton and drive S to Tumwila for a much better WalMart, Costco, and Fred Meyer. Sign up for a free Players Card for free Casino play as well as discounts. Casino, of course, for those who like to gamble. Taylor Shellfish is just a couple of miles up the road where you can get "catch of the day" oysters, clams, etc. Well worth visiting their small company store if you like fresh seafood. Seafood Bar in Casino is excellent. Walmart about 8 miles away in Shelton. Great priced gas and diesel close by. Spent the days mostly in the rig because of the rainy weather. Evenings were spent at the casino and the dining area. The casino buffet lunch (served until 3:30) is the best value around. It was like $10 with the 50+ discount and included prime rib, crab legs, oysters, and clams - YUM! We went around 2:30 in the afternoon so that it would serve as an early dinner and the food was still fresh and service good. Site #8 backed up to the perimeter of the park and was quiet and secure. An easy walk to the casino and buffet. By all means eat over at the Squaxin Island Seafood Bar in the casino...the best seafood around. We thought the casino buffet was average for a casino. The Island Grill (seafood) was very good. If you stay here, do not miss the buffet restaurant. Food is well prepared, plentiful and cheaper than you could eat in your rig. Many side trips to the southern end of The Olympic National Forest are fairly nearby. Be sure to see Lake Quinalt Lodge and the beautiful lake. Waterfalls and hiking trails abound. You're not far from Olympia and the view from the Capitol building towards the downtown area and bay is stunning. A drive up route 3 towards Bremerton takes you through many small historic fishing towns . Shelton is nearby with an interesting old town area and a little further out there are big box stores. Are you affiliated with Little Creek Casino and Resort ?